We're building an Active Directory server from Samba running on FreeBSD, free server software on a free operating system. Our first step is to set up the needed DNS infrastructure on an existing BIND master (or primary) DNS server. Then the Samba-based Active Directory can be a slave (or secondary) DNS server for those same zones. Jump back to the start for an overview of the project. I want to name the new system freebsd.example.com, and I plan to use corp for the Windows domain. The server will have IPv4 address 10.1.1.235. I also want some aliases for the name — raspbsd and dc — so I will set up CNAME records. ; Need kerberos-adm if we will run kadmind to support kadmin remotely. ; And, administration will be through samba-tool. ; It's unclear to me whether I need the following records. ; These may be needed only to support older Windows clients. Notice that the SRV records need three numbers: the priority, the weight, and the UDP or TCP port number. Clients will try to contact one of the servers with the lowest priority first. The additional factor of weight allows you to do load balancing across those of identical priority. It seems reasonable to leave these both zero until you find that you need to do prioritization and load balancing. Run tail -f /var/log/messages in one window while you signal your named process to re-read its configuration. Make sure it reloads without error. This Microsoft TechNet article dates back to Windows 2000 (!!) but it has an introductory explanation of integrating Active Directory and BIND. 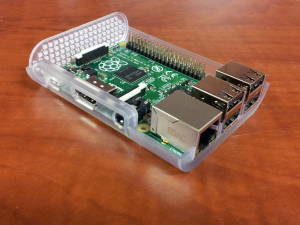 The next step is to install FreeBSD on a Raspberry Pi. Raspberry Pi running BIND, now a DNS slave server.